Consider for a moment what you reasonably expect out of a comic book. Personally, I look for a few things. I like to be entertained (obviously). I like to feel that I can connect to at least one of the characters in the book I am reading (in some, like The Walking Dead, I connect with many). 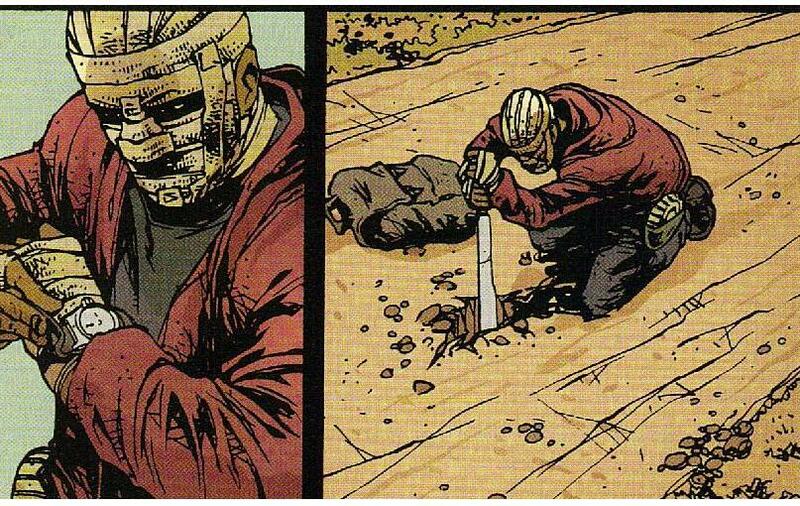 I like to be suprised when I turn the page and I get something I was not expecting (but it has to be in a good way – Crossed can surprise me with its shocking violence but that doesn’t mean it is a good thing). I don’t want to be preached to. I don’t want to feel that I am getting ripped off with lazy artistry or poor storytelling. There are many things I look for in a comic book. Unknown Soldier pretty much delivers on all those fronts. It is a brutal and compelling story, with very human characters in a dreadful situation that is, as far as I know, as accurate a portrayal of a real life event as we are likely to get in a comic book. 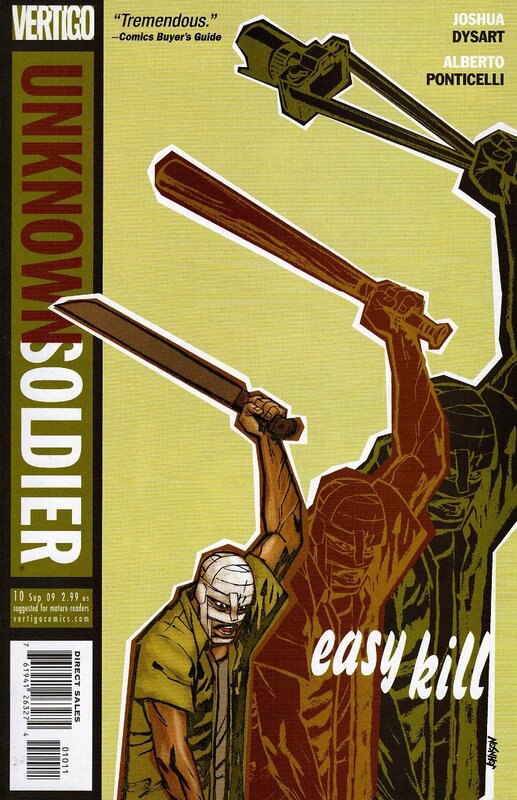 Take the current arc, ‘Easy Kill’, which deals with the main protaganist, the titular ‘Unknown Soldier’, engaged in a mission to assassinate an American Actress / Humanitarian, whose death would enable blame to be pinned on the reprehensible Lords Resistance Army (LRA) – an army containing of ‘press-ganged’ children. How many comics would want to tackle such a controversial, literate and potentially damaging storyline? In other hands this could be a travesty. In the hands of Dysart and Ponticelli, it is absolutley compelling, as gripping as a good movie. 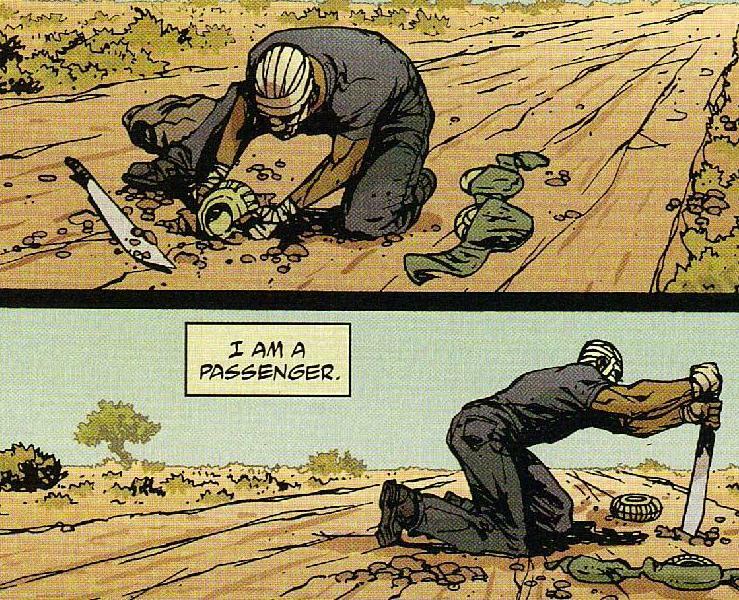 Look at these panels from the latest issue – the detail of the physical portrayal of a man planting land mines is subtle and powerful. As a reader, I can understand that this man is engaged in an act of planting landmines. I understand the significance of the act. With these panels, we witness the preparations for murder. What follows next is astonishing, agonising and brilliant. This comic book constantly asks the questions that you might ask if you had thought about a particular issue or problem for long enough. It does it in a solid, intelligent and thrilling way. Every issue is not long enough, yet at the same time there is more in one issue of Unknown Soldier than in the majority of other titles in any week of the year. Its qualities are numerous, its faults…well, I haven’t found any. I cannot praise it high enough. Get the first trade ‘Haunted House’ if you don’t believe me. It is out in Spetember. Finally, a quick word on the cover art, from Dave Johnson. If the cover is the front door of the house (so to speak), then you get the impression that this house is a very nice house indeed. If that doesn’t make sense, then let me just say that I thought the Soviet-era inspired cover, all righteous worker imagery, with that overcurrent of violence, does the contents of this book justice. That is high praise, considering the quality within.